Well, kinda getting my tan on. I don't mind being a pale girl but I did want something to give me a bit of colour just to take the edge off! 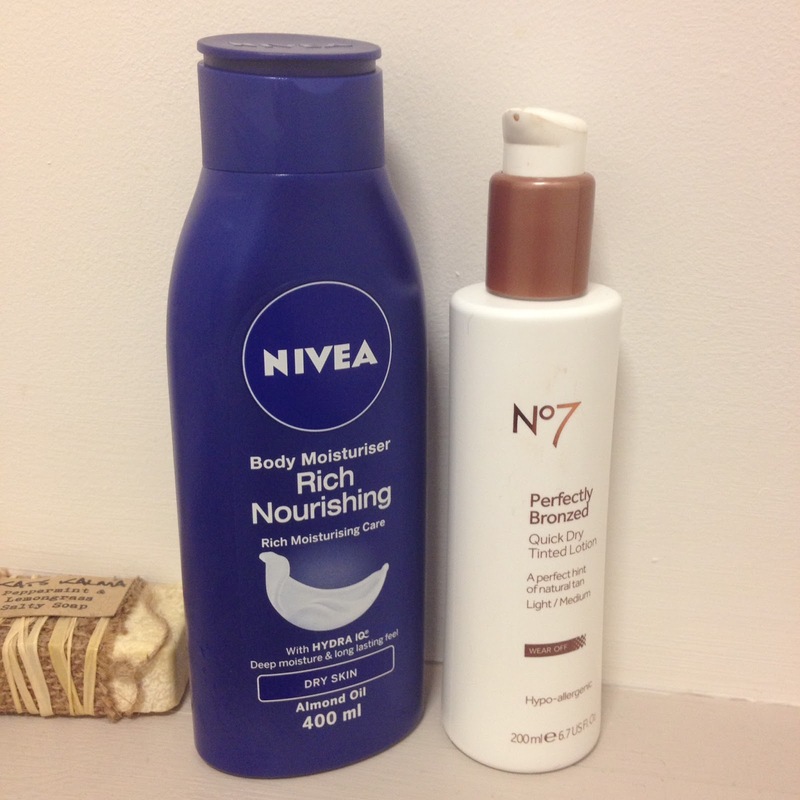 I picked up the No7 Perfectly Bronzed Quick Dry Tinted Lotion in Light/Medium as a last minute thing when I was going bare-legged for a night out and for an emergency buy it's pretty good. It comes out the pump brown but applies clear, you won't see a tan develop until a couple of hours after. Tanning is a bit of a faff for me because of all the exfoliating, moisturising, applying and waiting around but I found this dried super quickly and I was able to get dressed 10 minutes after application. It does have a scent but it's not that totally obvious biscuit smell it's very subtle. As you can see in my fail of a photo the tan isn't very deep but like I said, that's not what I wanted. 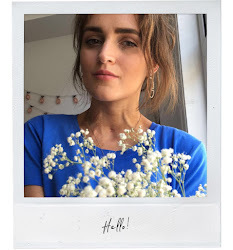 If you look at previous outfit posts (like here) you'll see how pale I am so you can see a slight difference that just makes me look a little healthier! But if you apply two or three days in a row then obviously the tan will be darker. I found it lasted about three days before it started coming off and I looked like I had some kind of skin disease but I apply 2-3 times a week and it stays put goooood. And then just to maintain it I've been using the Nivea Rich and Nourishing Body Moisturiser which is my all time favourite. Seriously, nothing hydrates my skin like it and whilst it does take a little longer than others to sink in the extra couple of minutes are totally worth it because it lasts for days, even when I shower between applications. The almond oil leaves a slight sheen on the skin which looks so lovely with a bit of a tan and just helps it to last longer. What's your favourite tanning product? I'll give that No7 a go if I see it here. I'm already dark, but somedays, I feel like going darker:D I've tried something from Estee Lauder before, and it was ok. I really love carribean tan products they really have such a nice range and the smell isn't so bad.